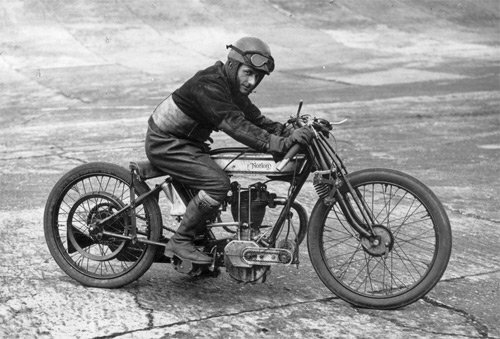 Situated just a few miles away from the historic Brooklands Racetrack, where Bert Denly (pictured above) roared round the banking on his Model 18 Brooklands Special in 1925, we meet at The Stepping Stones, a great bike friendly pub at West Humble near Box Hill. We organise rides out, quiz nights and visits to local places of interest. Our members can offer a wealth of useful experience to help you with your Norton – old or new! Come along to one of our club nights and see what we are up to and have a chat. 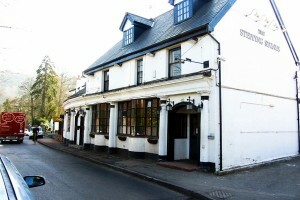 New members or just interested in Nortons? Come along! Or you can call or e-mail us at the address shown on the contact page. You can be sure of a warm welcome whatever time of year! If you’re interested in bikes and particularly the unapproachable Norton, on the page links on the left you’ll find plenty to whet your appetite and using the links on the right you will find our activities listed by dates.